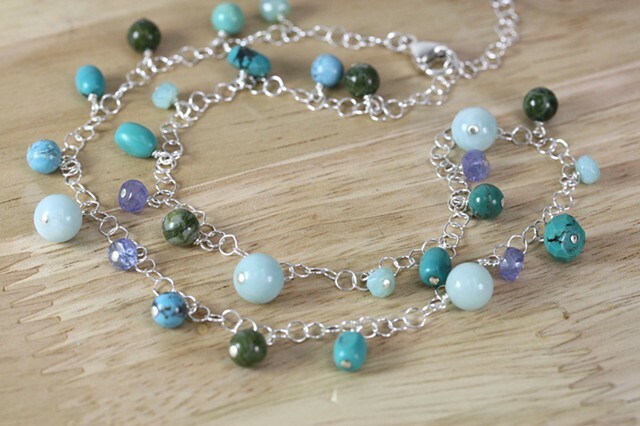 Sterling circle chain with a variety of beautiful semi-precious gemstones: purple tanzanite, green agate, amazonite, turquoise. Lovely movement! Sterling lobster claw closure with 2" sterling chain extender.